Well, now that we are a family of four, it seems silly to separate out everything into either Little Prince’s blog or Young Sir’s blog. I’ll probably still post in both of them from time to time, if I have something to say that is specific about one or the other, but my guess is that most stuff will now go here. 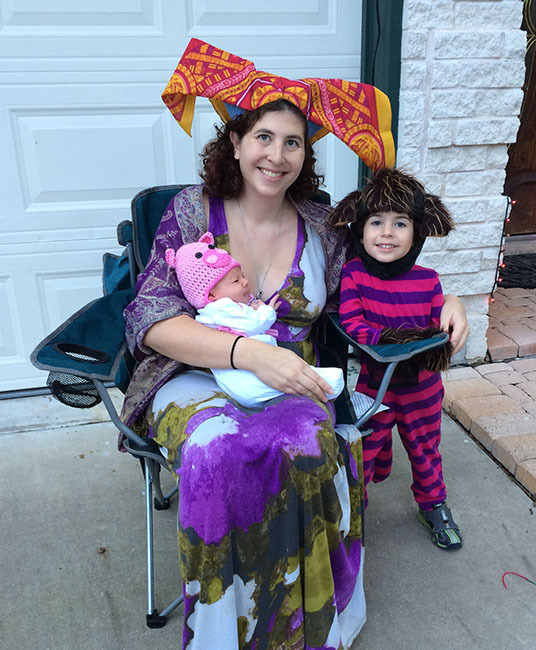 And what better way to start than with a post about one of our favorite holidays, Halloween. 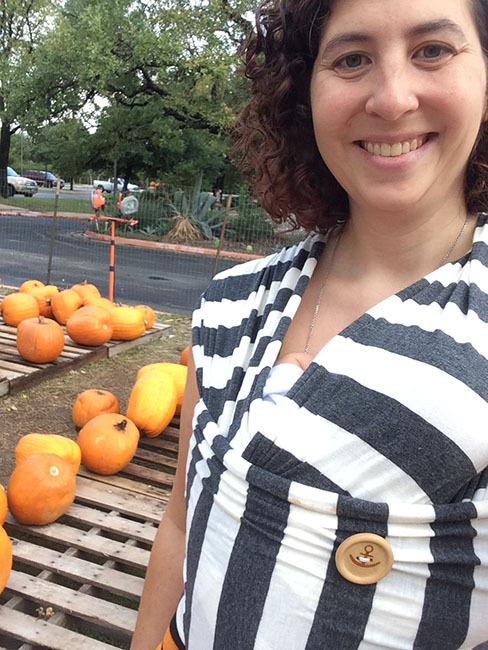 I was worried when I was pregnant with YS that I’d give birth so close to Halloween that I’d have to have two costumes and/or wouldn’t be able to participate in the festivities at all. Well, by him being three weeks old, it certainly changed my thoughts on that. The day before Halloween, Little Prince’s daycare did a big Halloween parade and party and he got to wear his costume to school. I didn’t go to the party because there were lots of kids there and YS is still very new. 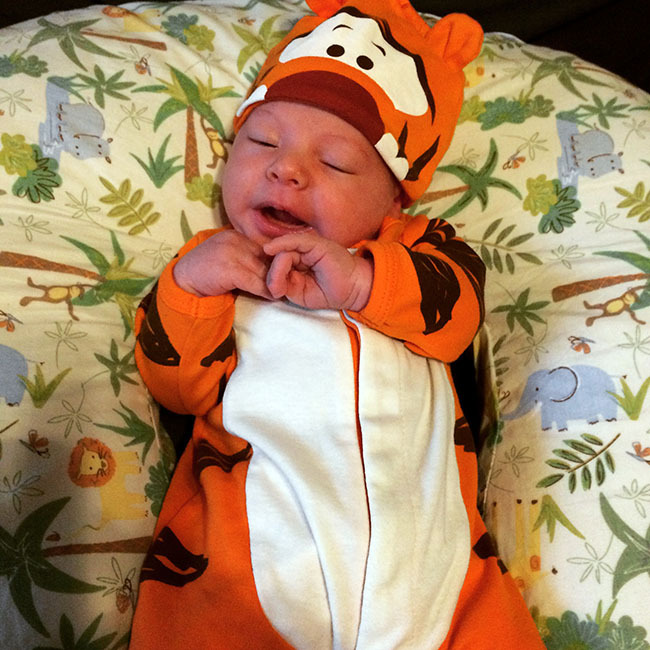 However, I did make sure to dress YS in his Tigger costume that LP got him with Bubbe (when she was in town) and LP was really excited that YS was wearing it when I went to pick him up from school. Halloween morning it finally wasn’t raining so we went to the local Pumpkin patch, where we go every year. 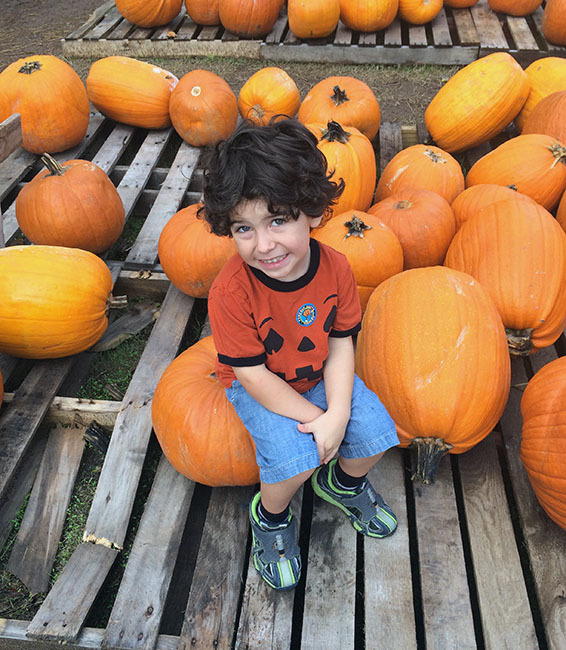 We only picked out one pumpkin this year, since we didn’t really have lots of carving time. Then we went to Aunt Jessi’s party for a little while. We got to show off our costumes and see her new house. So excited that she lives so close to us now. 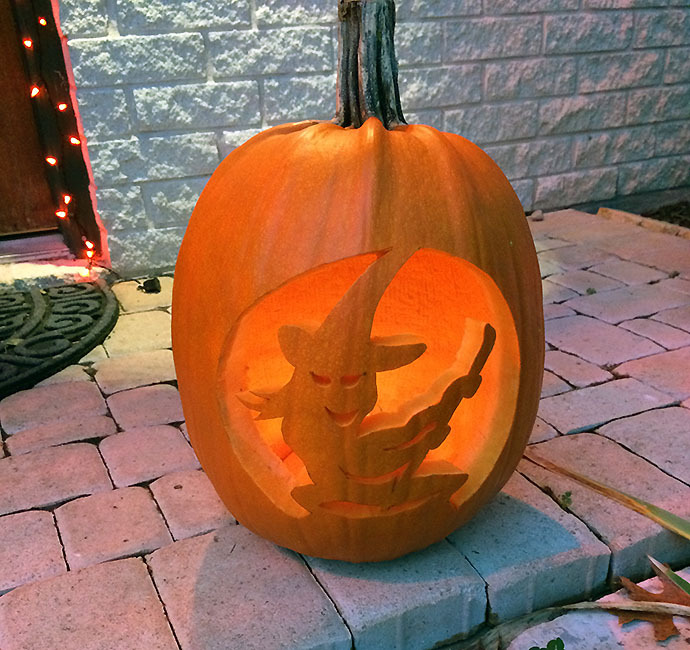 After the party, I took a nap with Young Sir and Darius carved the pumpkin with Little Prince. They tried to use a template from the book that Bubbe got us, but it was too small, so Darius freehand drew the design based on the template. He’s very talented! We ate an early dinner then got into costume. It was an Alice’s Adventures in Wonderland theme for us this year. I was the Duchess, LP was the Cheshire Cat, and YS was the Duchess’s baby (who turns into a pig). If I’d been really thinking, I’d have had Darius dress as the cook, so we’d have the whole household, but I didn’t think of it until the last minute, so he just put on some of his old goth clothing :). Then Darius took LP trick-or-treating around the neighborhood with his friends down the street and their dad and their mom hung out with me and we gave out candy to people who came by. We were also entertained by our neighbor dressed up as the Pumpkin King (Queen?) 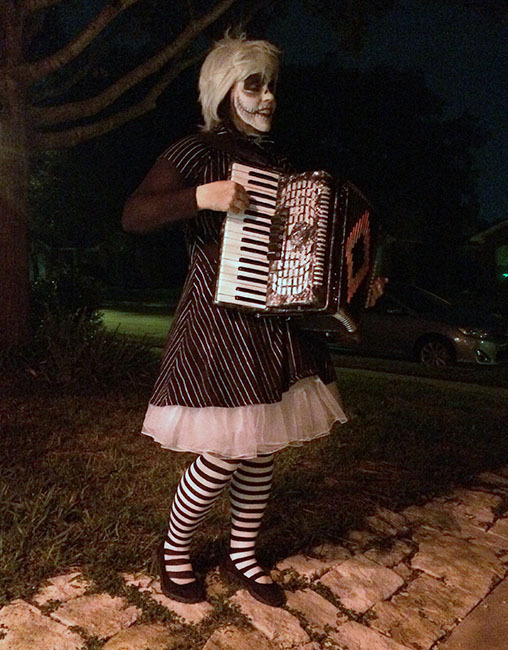 as she played spooky music on her accordion. I love my neighborhood. YS did end up with a bit of a costume change as while I was changing his diaper he managed to pee all over his while nightgown and on his hand and everywhere. He’s quite the stealth pee-er! 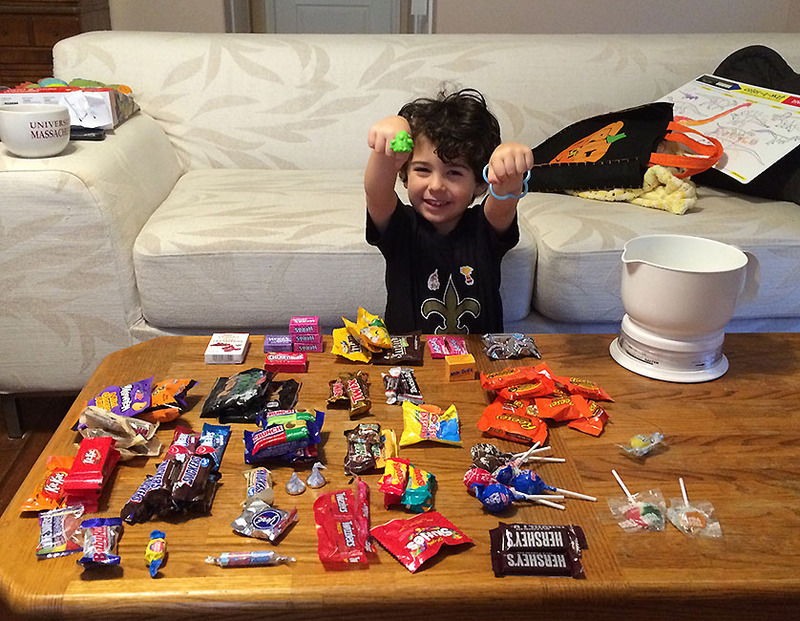 LP had a fantastic time trick-or-treating and came home with almost 3lbs of candy!